The Gender Spectrum Collection is a new, free stock photo database featuring trans and non-binary models. From old people using computers, to women laughing while eating salad, to business people making corporate presentations on Bristol board, stock images are all around us. Often these stock photos have one thing in common: they feature mostly white, cisgender models. A new stock photo collection is eschewing these clichés to offer a more gender-inclusive view of the world around us. 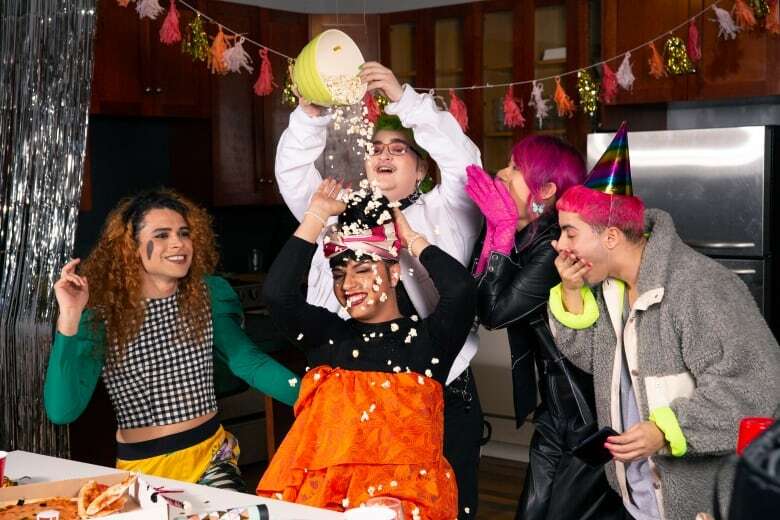 Last month, Broadly released the Gender Spectrum Collection, a stock photo library featuring trans and non-binary people doing everyday things, like hanging out with friends, playing video games and going to school. "It was just really impossible to find any images that depicted trans life, and [Broadly was] determined to create those images," photographer Zackary Drucker told Spark host Nora Young. Drucker, who is most well known as a producer on the award-winning series Transparent, was tapped by Broadly to photograph the library of over 180 images. 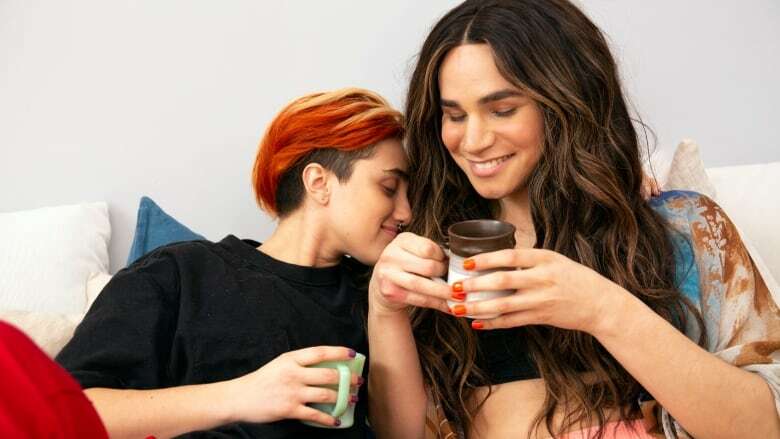 Working with 15 trans and non-binary models, she captured tableaus of daily life: couples cuddling and fighting, people doing yoga and going to the doctor, employees sitting in work meetings. The images are free to use through a Creative Commons licence, but do come with some recommended usage guidelines. In an article that came out with the release of the library, Broadly explained that it decided to spearhead the project after they published a story about tucking, and had trouble finding images of trans people that weren't reductionist or one dimensional. "I think that's actually really reflected in the way that folks interact with trans people sometimes. It seems like your trans-ness sort of supersedes everything else," Drucker said. "And it's hard for people to imagine that you're also a family member, you're also somebody's sister, you're also a cellist, you also do magic tricks. They're like a fully dimensional person." 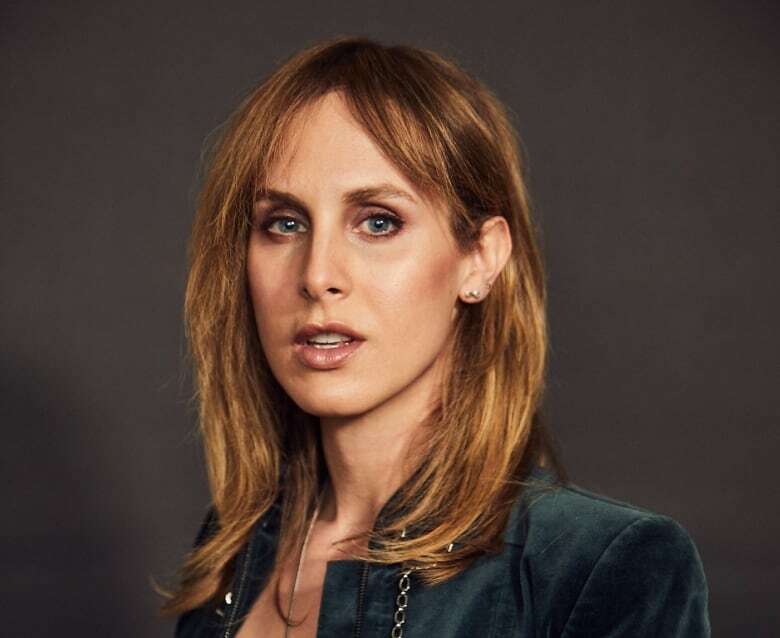 Over the last few years, Drucker said she has seen tremendous leaps in the way that transgender people are portrayed, especially on television. "Being a trans person who grew up in the 1980s and 1990s, the only time we really saw trans folks on television was in talk shows, which leaves quite a bit to be desired," she said. "Trans people are really kind of pilloried in those environments and publicly jeered and ridiculed." Since then, we've seen more nuanced portrayals of trans people onscreen. Drucker's own series Transparent, which tells the story of a father who reveals to her family that she is a trans woman, has been a part of this evolution. In 2014, Laverne Cox became the first openly transgender actress to be nominated for an Emmy for her role on Orange is the New Black. But when it comes to stock photography, there is still a long way to go. CEOs are often portrayed as older white men, and couples are almost always heterosexual and cisgender. According to Drucker, these images matter because of how ubiquitous they are. "Stock photography is really where so many images that we're exposed to everyday derive from," she said. "You know, every time you're on public transportation, every time you look at your phone, they come in." The lack of representation has also prompted other stock libraries to try to fill other gaps. Getty Images has their No Apologies and See the 67 collections, which feature women of diverse body sizes and skin tones. The Well has their Jopwell collection, which offers up images of Black, Latino, Hispanic, and Native American students and professionals in the workplace. Drucker said she hopes that these changing representations in stock photography will go hand in hand with changes in society as a whole. One set of images from the Gender Spectrum Collection features a trans woman in an office in a position of leadership. According to Drucker, while there still isn't an abundance of trans people in leadership positions, at least these days, transitioning won't usually cost you your career like it would have in the past -- which is progress. "I think creating images of trans and gender diverse people in their everyday lives in positions of leadership, in relationships, being fully dimensional human beings is a great place to start," she said. "Then I think that in real life and in reality, we're also moving in that direction." 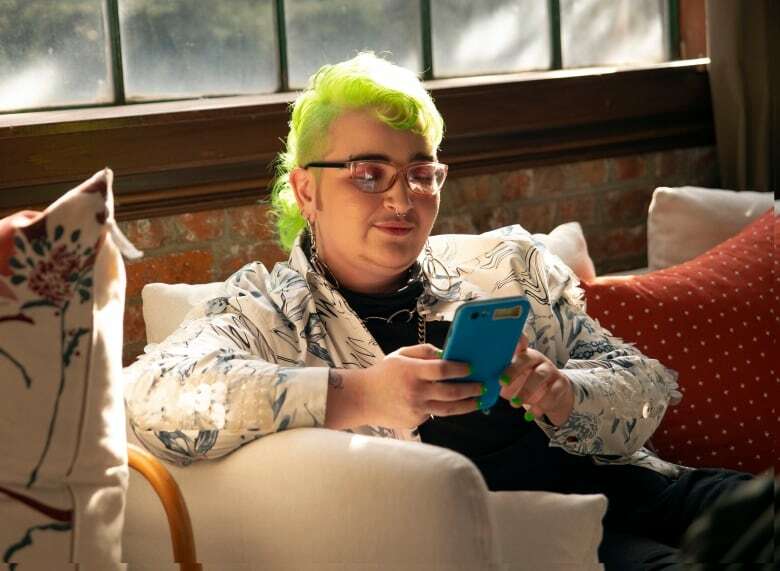 Drucker said she hopes the collection will help to expand the presence of trans and non-binary people in the larger culture, and in turn make life better for young people who are discovering their gender identities. "I think just recording our presence and saying like 'We were here' creates just a generally safer environment for young people who are coming into the world, who it seems by and large are much less committed to binary ways of thinking," she said. "I think this is just how we're moving ahead into the future. And you know whether you resist it or not, time moves forward."